Dave, our beloved founder was a band director of 23 years. Dave retired from teaching shortly after his marching band, Monticello High School, appeared in the 1983 Tournament of Roses Parade. Dave decided to try something new and we’re sure glad he did! Starting Gateway Music Festivals & Tours in 1985, the company blossomed over the decades from operating competitive regional music festivals to managing major performance events and music tours world wide. 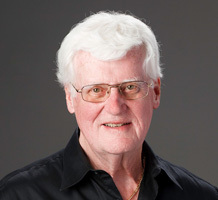 Dave continued to be active in music, directing and performing in the Great River Community Band until his passing in February 2018. We miss him everyday!